Chlorella is a green unicellular freshwater algae that is rich in protein, vitamins (including vitamin B12), minerals (especially iron), amino and nucleic acids. Chlorella algae boast a high chlorophyll content that helps cleanse our blood and tissue, making it particularly useful for detoxification. Buy Chlorella Powder here. Chlorella also contains an extremely strong concentration of alpha, beta and gamma PPAR's (Peroxisome Proliferator Activated Receptors), which are known to regulate our metabolism, strengthen our immune system and promote general all round good health. Spirulina is a blue-green unicellular freshwater algae packed with fibre, protein, vitamins (including vitamins A, B1, B2, B6 and K), essential minerals (including iron, calcium and magnesium), trace minerals, essential fatty acids, nucleic acids (both RNA and DNA), polysaccharides and antioxidants. Buy Spirulina Powder here. Spirulina is low in calories and a complete source of protein. It has recently been linked to demonstrable weight loss. Spirulina contains more protein than chlorella. 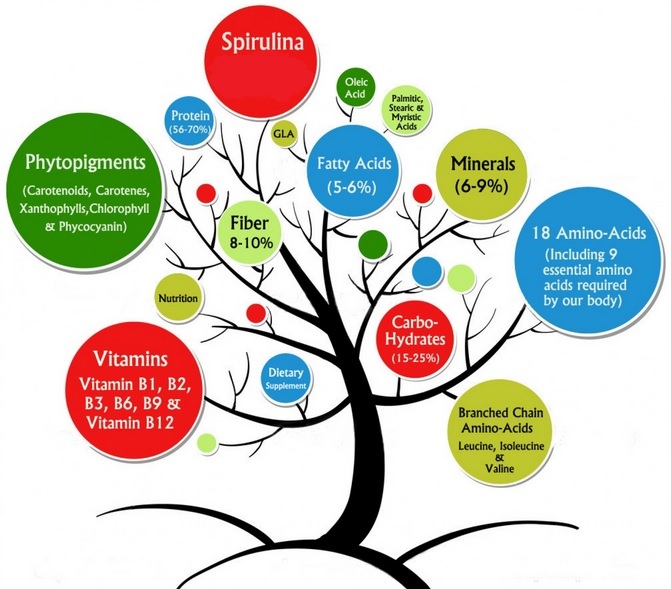 Indeed, on average spirulina contains 12 times more protein than beef! Want to try Chlorella and/or Spirulina? Made up your mind which of these two super greens is the best choice for you? Or perhaps you want to enjoy the benefits of both? You can purchase premium quality, pure chlorella and spirulina powder online at Detox Your World, the first in certified organic raw foods and superfoods in the UK.